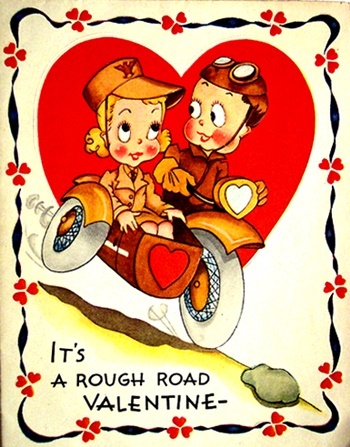 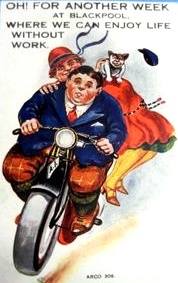 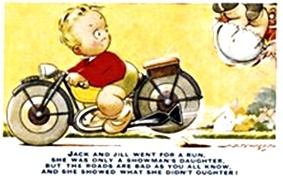 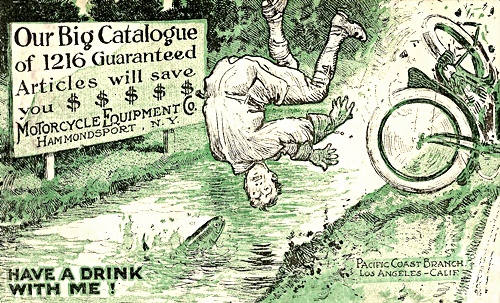 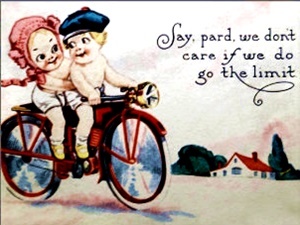 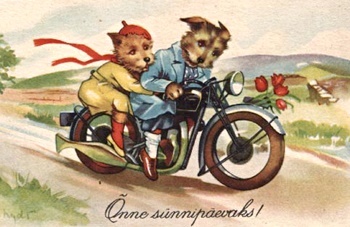 This entry was posted in Art, Collectibles, Entertainment, Fun, History, humor, Motorcycles, Postcards, Uncategorized, Vintage and tagged art, cards, cute, funny, love, motorcycle postcards, Motorcycles, post cards, posters, valentine cards. 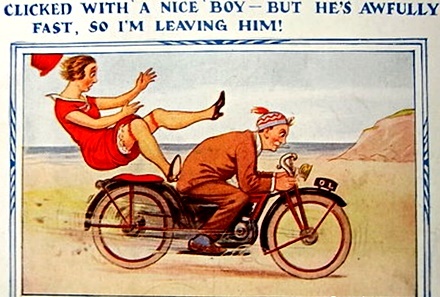 I enjoyed that one immensely, D — very nice, indeed !!!!!!! 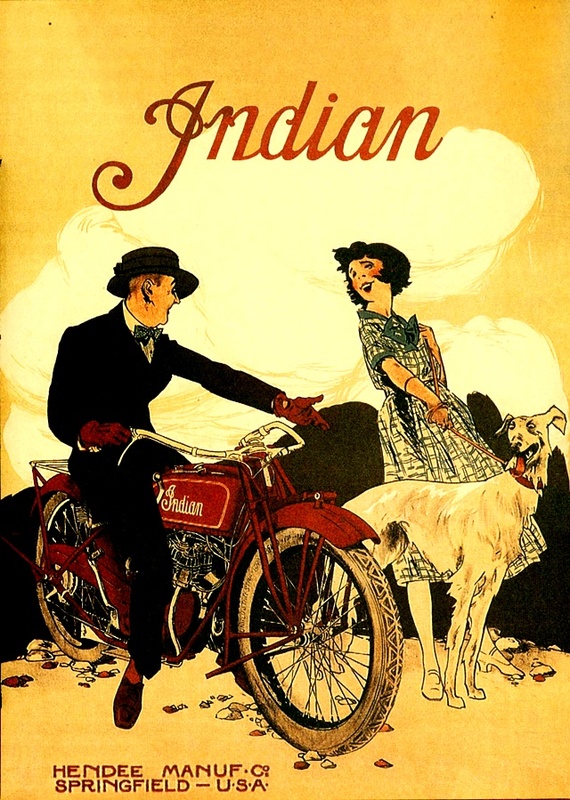 That’s one whole lotta Afghan Hound, isn’t it ??? 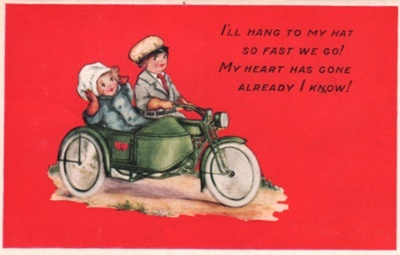 Love the postcards you posted here! 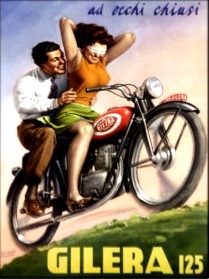 As a woman of eclectic tastes, I enjoy your blog very much and although I do not ride a motorcycle, I do so love a “bad boy”!